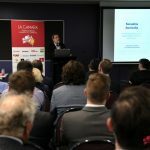 Collaboration and technology were the focus of the day at a recent La Camara event held at the Technology Park Function Centre in Bentley. 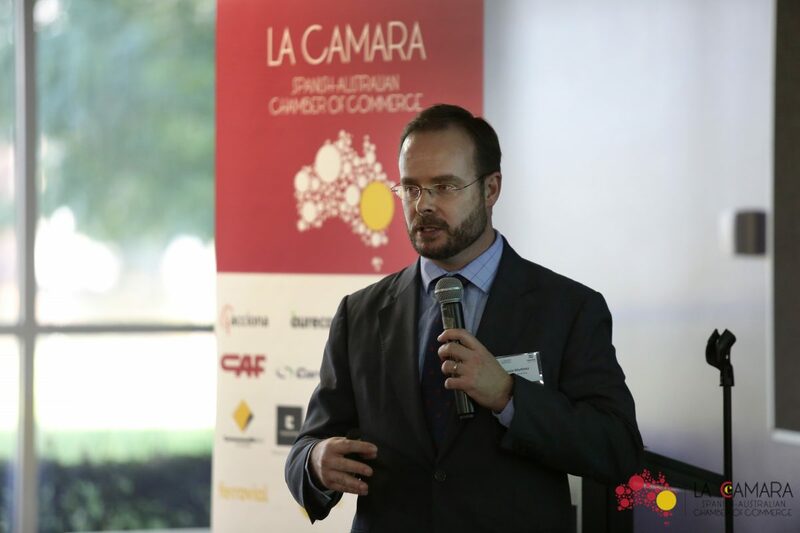 La Camara, the Spanish-Australian Chamber of Commerce & Industry, joined with Defence West and WA DEFENCE REVIEW to host the event, providing Spanish shipbuilder Navantia the opportunity to present their plan for the further development of the shipbuilding industry in Australia. Speakers included Spanish Ambassador Manuel Cacho; Geoff Wedgewood, Deputy Director General of the Department of Jobs, Tourism, Science and Innovation; and Donato Martinez, Managing Director of Navantia. 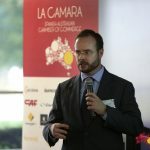 Skilfully emceed by La Camara WA State Director, Javier Fernandez, the event packed an amazing amount of information into a relatively short presentation. Navantia is the largest shipbuilder in Spain, and ranks in the top ten in the world. Owned by the SEPI, a state-owned Spanish enterprise, Navantia has collaborated with the Spanish Navy for 250 years in the building of ships. They are a relatively young company in Australia, beginning work here in 2006 with contracts to build two Canberra class amphibious assault ships (LHD). They have built or significantly contributed to several ships for the Royal Australian Navy (RAN); including 12 LHD landing craft (LLC), two combat support ships (AOR), and three Hobart class destroyers (DDG) being built in Adelaide. The first was commissioned in September 2017, and the third will be floated in May 2018. Looking to the future, Navantia are shortlisted for the SEA 5000 project to build nine new frigates beginning in 2020. 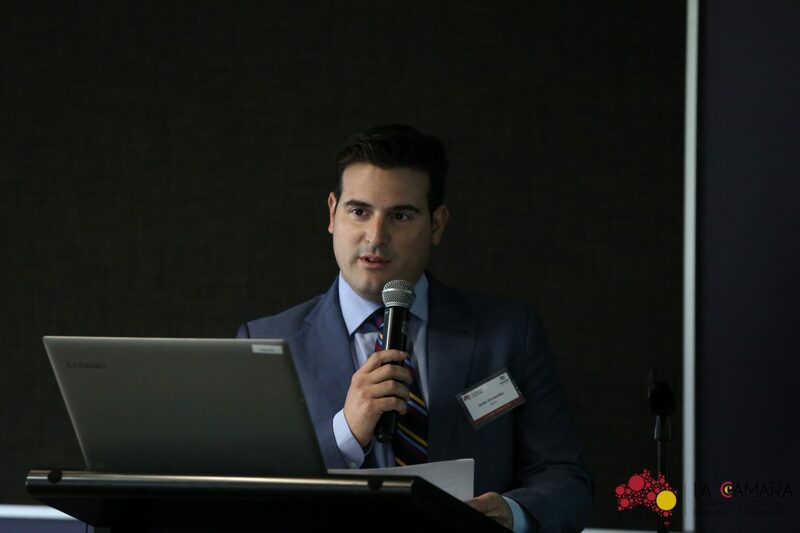 Navantia has expanded their presence in Australia, now having offices in Canberra, Melbourne, Sydney and Adelaide. They will open a sustainment centre here in Perth this year, and are opening offices in Singapore at the end of the month. 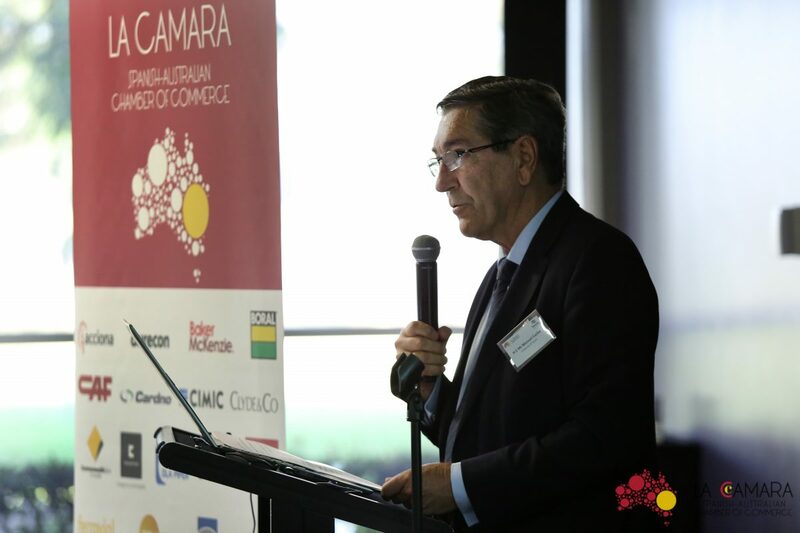 Ambassador Cacho shared some fascinating insights into the history of the relationship between Australia and Spain. These two countries, he explained, share principles and values. 2017 marked the 50th anniversary of formal diplomatic relations. Trade and investment between the two states continues to increase. In the past decade, the economic relationship has experienced a qualitative jump. 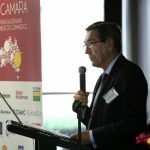 He attributed the presence of a substantial number of Spanish companies in Australia to our attractive qualities, including the sustained growth of the Australian economy, the highly secure legal environment, and potential to expand from Australia to other fast-growing economies in the region, often in collaboration with Australian companies. And of course, the development of our defence relationship, as led by Navantia’s involvement with our Navy. Geoff Wedgewood, Deputy Director General of the Department of Jobs, Tourism, Science and Innovation, spoke briefly on the involvement of Defence West in the Henderson project. 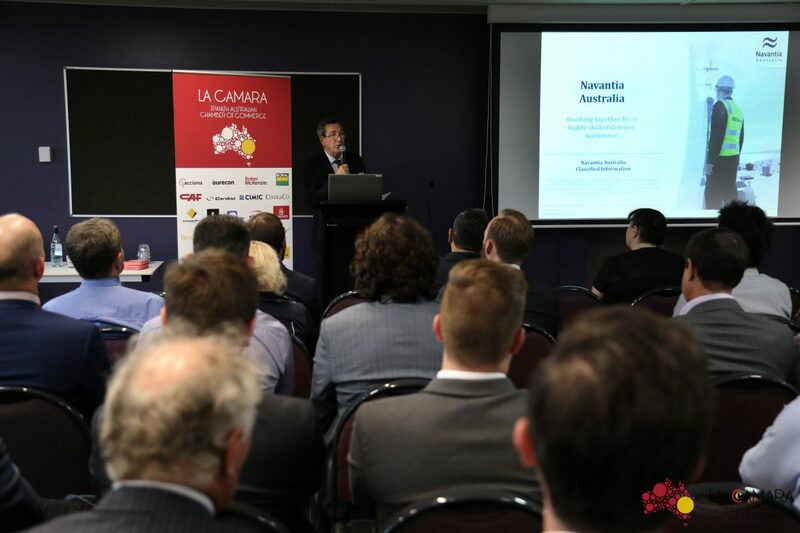 He encouraged guests from local businesses to take advantage of the serious opportunity presented by Navantia’s presence in WA. 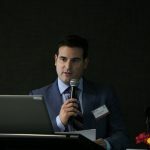 Donato Martinez, Managing Director of Navantia, shared a slide show presentation detailing the history of Navantia, explaining their business model, and presenting plans for the future. Key points were the development of technology and the importance of collaborations and relationships with other companies. Navantia has a large externalised and indirect workforce, with a strong focus on understanding local companies and using their capabilities for mutual benefit. Mr Martinez also spoke of diversification and other markets, such as the offshore wind power business, which Navantia entered in 2014. True to their collaborative business model, they partner with local companies to create capabilities in other countries for the construction of offshore wind towers. Navantia also excel in other areas including a custom-built integrated business management system and a shipyard unification model project. Innovation and R&D are driven by a constant desire to improve lives around the world. As their advertising states, they are not just planning for the future, they are already building it. After the presentation, guests were encouraged to mingle with the speakers and other Navantia personnel with the express intention of developing relationships for future collaboration. Drinks on the terrace, including a sumptuous spread of finger food presented by the catering staff at La Mint Café, provided the perfect finish to the event, with guests mingling and networking. There was a definite buzz in the room as business cards were exchanged and plans made. May this be the start of yet more successful collaborations.